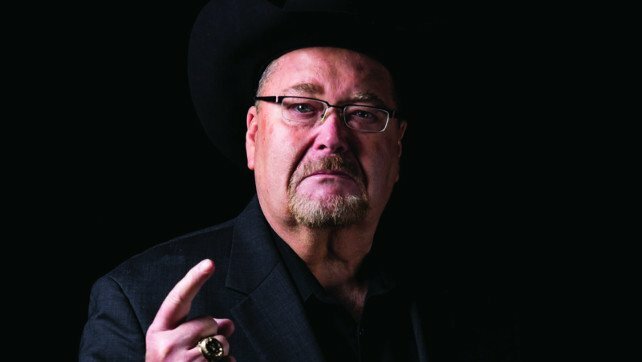 TMZ Sports caught up with WWE Hall Of Famer and newly-signed All Elite Wrestling (AEW) commentator Jim Ross. Ross talked about his new venture with AEW, why it was the right time to leave WWE for a new opportunity, and if there’s a possibility he’d ever go back to WWE in several years. 26 years, great run. Wouldn’t trade it for anything. To go out there and do something new with AEW, The Khan Family, too good to pass up. You know, they have a strong belief that I can still do my storytelling job at ringside in this wrastlin’ business, so we’re gonna give it another run and have some fun. Well, I wasn’t being used much. I wasn’t getting much playing time. All of us grizzled old veterans still think we can play. I just believe that I still have some juice left in the berry, and the opportunity came about. I’ve never had an opportunity like this as far as financial rewards. New people, young management – just a lot of fun. It was the right time. I think when you’re in the entertainment business, and you’re a proverbial – you’re on the back nine of life, you say “no” to nothing. You say “never say never.” So, I’m committed for three years to AEW, I’m hoping for longer. I’m not thinking that far ahead. I’m ready to get to work today, tomorrow, whatever.